(16/P81) TRENTON – New Jersey’s great outdoor locales and activities will be featured Saturday, September 10 and Sunday, September 11 during the Department of Environmental Protection’s Seventh Annual WILD Outdoor Expo at the Colliers Mills Wildlife Management Area in Jackson Township, Commissioner Bob Martin announced today. The Expo will highlight the state’s natural resources and outdoor heritage with more than 100 environmental and conservation exhibits, demonstrations and seminars. The rain-or-shine event will be held from 10 a.m. to 5 p.m. both days. Admission and parking are free. Most activities are free; some are available for a modest fee. 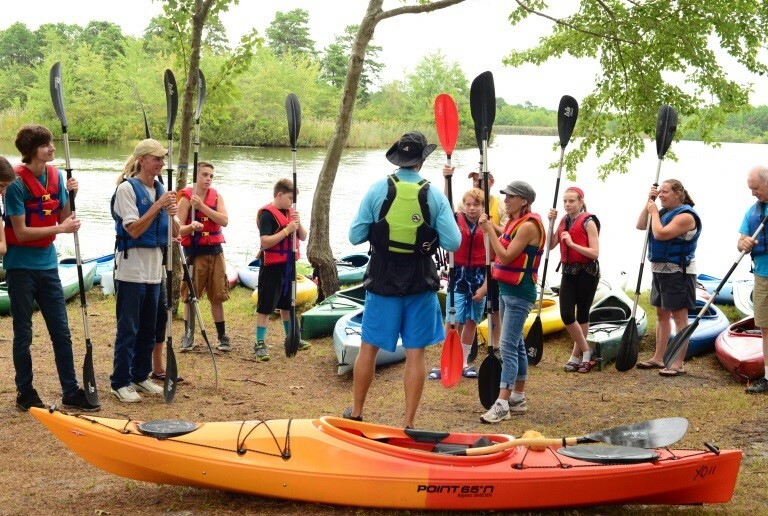 The WILD Outdoor Expo is a one-stop event for information about outdoor adventure activities in New Jersey. Visitors can sharpen their camping and backpacking skills, get an introduction to archery, watch a bow-fishing seminar and demonstration, learn about Osprey platform building, hone their bird and tree identification skills, walk through a mobile reptile zoo, view raptors up close, and even learn tips and techniques for catching more fall striped bass. Other activities will include nature photography workshops, and outdoor learning on everything from fishing to kayaking, rock climbing, shooting sports and watching wildlife. “The goal of the Expo is to create a family fun day where people of all ages can acquire new outdoor skills while also learning about New Jersey’s natural resources through a combination of conservation information, education and hands-on activities and opportunities,” said David Chanda, Director of the DEP’s Division of Fish and Wildlife. This year, wildlife artist James Fiorentino and his “Rare Wildlife Revealed” traveling art exhibit will be at the Expo on Saturday, September 10. Fiorentino, of Hunterdon County, is a nationally renowned artist who will sign posters of his works that day. His watercolor paintings are featured in many galleries and museums worldwide. One of the Expo’s highlights will be a giant mobile aquarium, which will show off a variety of New Jersey’s fish species. The tank will be loaded with huge trout and warm water game fish from the state’s Pequest and Hackettstown fish hatcheries. Casting and fishing instruction, and demonstrations, are planned. The numerous exhibits, demonstrations and seminars scheduled during the Expo will focus on New Jersey’s air, water, soil, flora, fauna and history. Experts will be on hand to discuss topics ranging from hunting to bird watching to scuba diving and forestry stewardship in the state. There also will be a living history encampment and demonstrations of crafting dating to the 1740s. The Expo will also feature an equipment flea market featuring outdoor recreation and other environmental-related products for purchase. Food will be available from a variety of vendors, or visitors may bring their own. The Expo is sponsored by the Division of Fish and Wildlife, State Forest Service, State Forest Fire Service and the State Parks Service, as well as the Conserve Wildlife Foundation of New Jersey. It is partly financed by a grant from the U.S. Sportsmen’s Alliance Foundation’s Trailblazer Adventure Program.